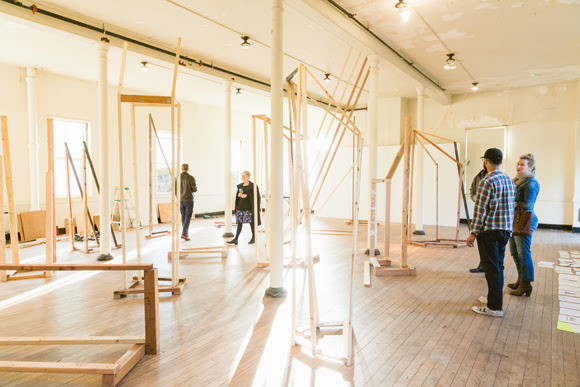 Headlands' Artist in Residence, Chamberlain Award, and Chiaro Award are fully sponsored residencies for local, national, and international artists working across disciplines at various stages in their careers. 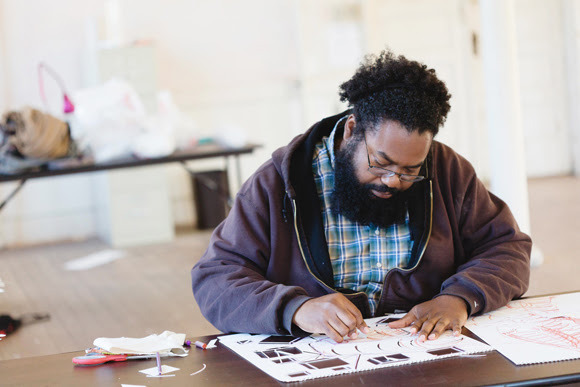 Our residencies bring together practitioners from diverse locales and cultural backgrounds for meaningful engagement, inquiry, and discourse. Apply by May 8 for an early bird rate on your application fee! Details below. 2016 Artist in Residence Alejandro Guzmán in his studio with guests. Photo by Andria Lo. 2014 Chamberlain Awardee Claire Pentecost. 2015 Chiaro Awardee Mike Cloud. Our Artists Programs provide opportunities for research, experimentation, professional development, and peer-to-peer exchange for artists of all disciplines at critical times in their careers. 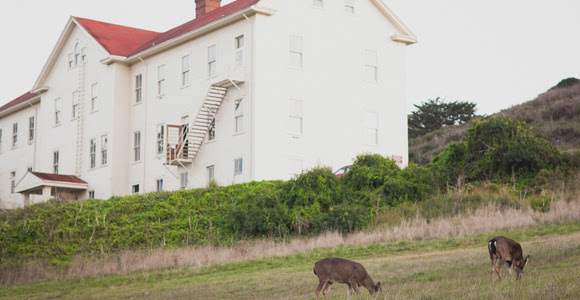 Unique among programs for artists, Headlands’ dynamic programs provide meaningful resources—time, space, community, and financial support—and are home to local, national, and international Artists in Residence, regional Affiliate Artists and Graduate Fellows, and visiting artists and curators working on new projects. You are receiving this email because you signed up for eCommunications from Headlands.